On Saturday, I had a little extra time to fill while my son was at a birthday party. So I did some chores around the house. Well, that’s what my wife would have preferred. As you probably guessed, I went fishing. 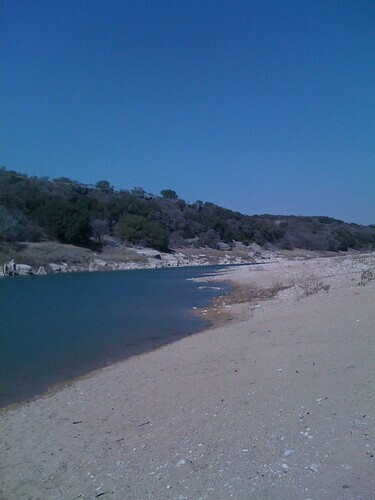 I decided to run over to Reimers Ranch to check out the Pedernales River. We’ve received a fair amount of rain in Central Texas over the last few months so I was really hoping that conditions would improve from my last visit. Take a look at the pictures in previous posts… the river was almost dry.